You are here: Home > How to setup My Universal Remote Control App for Audio / Video? 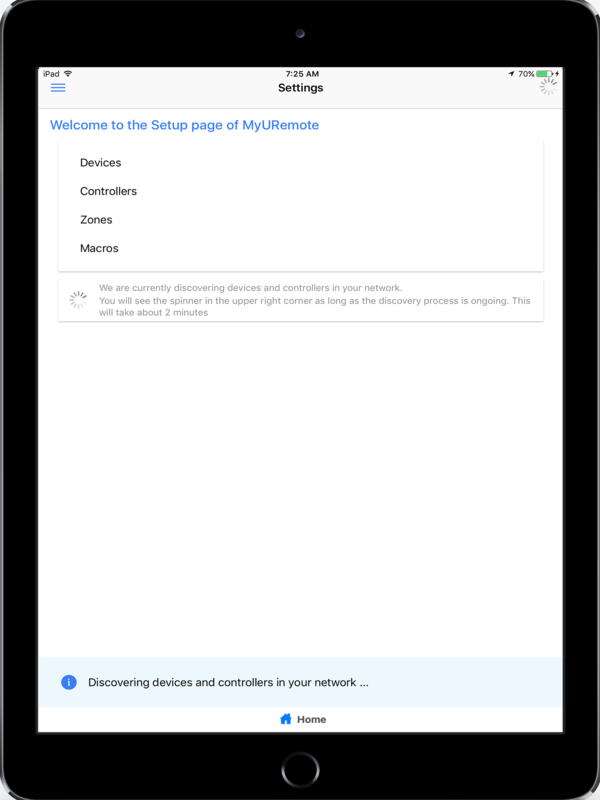 Welcome to the setup guide of MyURemote! Please read this help page first. If you need more info don’t hesitate to contact our support team: support@myuremote.com. Optional – Create your F-Butons (macro’s – 3th party applications). Most Asked Questions. – Please find here our FAQ’s. Please read our blogs/documentation because they contain so much information! How to check communication with my controller? Enter Global Caché IP :How can I find the IP adress of my Global Caché controller: download this executable and run it on any PC in your network. Disconnect the supply of the controller and reconnect after one minuit. Check if your controller and your smart device are connected to the same network and subnet (range). When a GC100 has network connection the LINK Led must light up. The Led of an iTach must flicker every second. It is recommended that you configure every device and controller with a static IP. It is recommended that if you have connection issues you change the router over to 802.11b only mode. 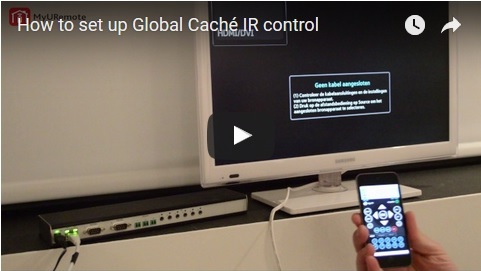 How can I find the IP adress of my Global Caché controller: download this executable and run it on any PC in your network. Factory default settings for a GC-100 can be reset by electrically connecting pins 7 and 2 on the first serial connector (closest to the power connector) as you apply power to the GC-100. As you look directly at the serial connector, pin 2 is the second pin from the left in the top row, and pin 7 is the second pin from the left in the bottom row. The simplest way to connect these is to insert a flat bladed screwdriver between the two pins and rotate until both pins are touching the screwdriver. DO NOT bend pins, as this may cause irreparable damage to your unit. At this time, connect the power supply and IR indicator 1 will blink on momentarily, all the IR indicator lights will blink on momentarily, then all lights will go off. This indicates that your GC-100 has been set to its original factory defaults, including Configuration Lock, which defaults to disabled. Depending upon the IR ports’ individual states, the indicator light sequence may not occur as stated. If so, repeat the process a second time to assure that factory defaults have been restored. Which connection do I need between my Device and my controller? Please refer to the support pages of www.myuremote.com . Click here to go to the developer’s pages (Developers/Programmers==> My URemote supports webbased interfaces). Click here to obtain more info about the FREE My URemote for Windows. developers: here are our SAMPLE PAGES. check here your TCP (socket communication) commands (the feedback of the device will be shown in red)Links. 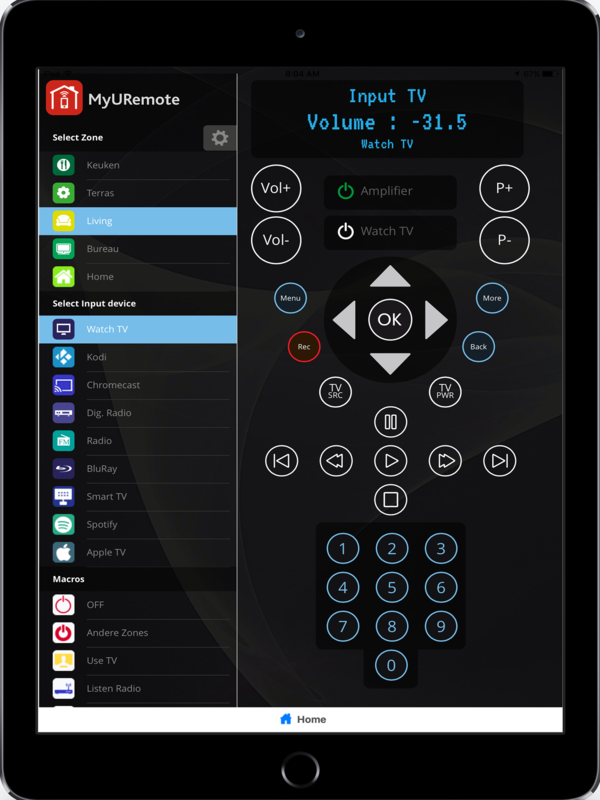 ← MyURemote direct network control ( IP control via LAN / WiFi ). I have developed my universal remote using iRule running on a standard size iPad. I am looking for s suitable alternative as iRule as you are probably aware will be unavailable for updates in a year. Q1: can I develope my pages and command buttons, macros etc., on my computer (windows as in iRule) and then sync my iPad to the MyURemote cloud file? Q2: if not, where does the setup take place? On the iPad itself? Q3: if I want to build a customized system from scratch can I do that or am I limited to a activity based (like watch tv) process? I already have a working model in iRule that I would like to base the development around and not have to reinvent the process again. I have a fairly high end a Home Theater system where I use macros, IR control, IP control based around a GC IP to IR interface. MyURemote has an online configuration panel. After editing your setup you can sync your ipad/iphone by clicking the home button (below the remote interface). It is also possible to edit your configuration with ipad or iphone (ionic platform). It is possible to create a remote interface from scratch but as the standard configuration has so many advanced functionalities, macro’s and live feedback, I advise you to use the standard interface. Comments: I have been using the Blumoo Universal Remote with External IR Blaster for 18 Months with great success. I absolutely love it, however due to the fact that there is no configurable Lanscape Mode Application available specifically for the iPad Pro other that using the iphone App in portrait mode and the due to the fact that they have unfortunately discontinued the product I am looking for a replacement that is more suitable to my needs. ( However I have gotten used to reading the Blumoo App sideways since there is no landscape mode available ). I just have a couple of questions. 1. 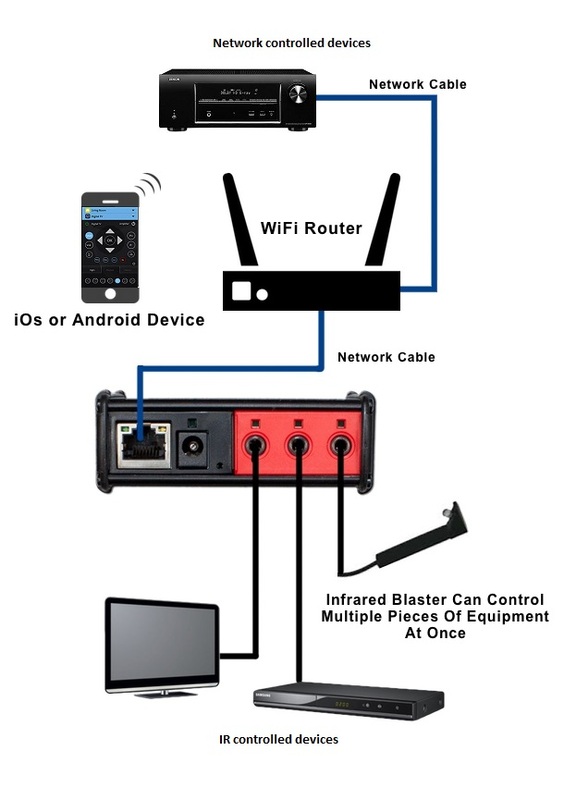 Will the MURemote app communicate with the Blumoo IR Blaster and if not what external device would I need and what is the price ? 2. I want to configure a Master Entertainment screen for my iPad Pro in Landscape Mode that will let me control all of my devices ( TV, DVD, Apple TV, Amazon Fire TV, Spectrum/Time Warner Enhanced DVR, Older Pioneer SX-253 R Receiver, etc. Is this possible with MyURemote? 1- Blumoo uses bluetooth connection. 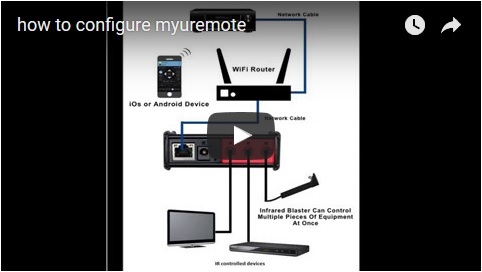 MyURemote uses WiFi. So MyURemote is not compatible with the bluetooth controller. Comments: What an excellent approach you have chosen in developing your MyURemote project. I have spent a few hours looking through your documentation and have a few questions and observations. 1. You are sitting on something big with MyURemote. Almost all your competitors have gone: (a) 100% Cloud based and/or (b) closed environment. This has conseqences: (i) if the internet is down, remote system is down. (ii) multi-handheld device scaling and reconfiguration is painful. (iii) extensibility is poor. (iv) user generated extensions are difficult. (v) connectivity to other hub systems is generally poor. Your choice of a socket enabled, js based, html soln avoids all these issues! In my opinion, you should really push a community development github or similar site built on your core. iRule and others are not in the same league of extensibility. 2. 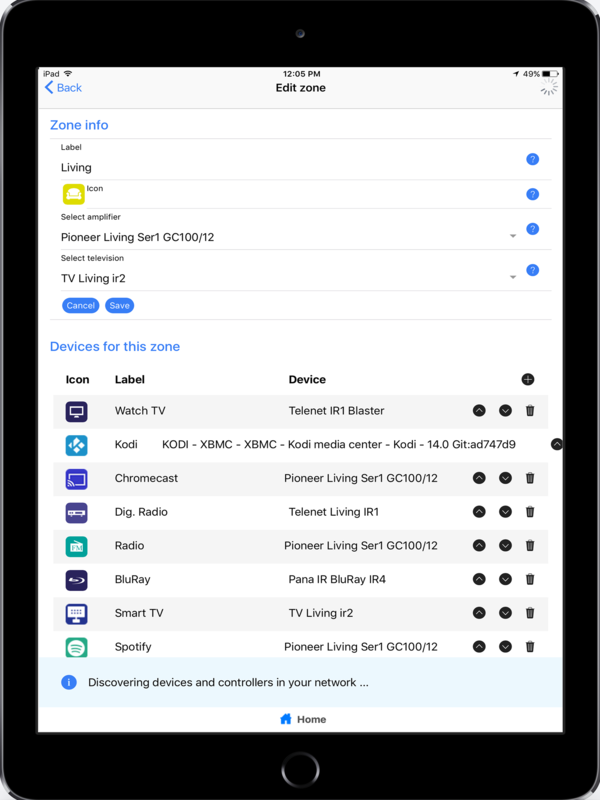 In my use case, I use HomeSeer as the “hub” to manage the state of all my devices (Over 20 AC units, 13 TV’s, 150+ ZWave devices, Receivers, Pool System and so forth). But homeseer has a rubbish UI and also doesn’t support all my devices. So, I am writing my own MessageQ based ip server/client engine and various device managers that can talk to special devices like Air Conditioning Units — and pass status to Homeseer. I need to decide on a GUI foundation to control everything. Your app looks like the ticket! At it’s simplest, I need 2-way socket based communication from my own custom MyURemote pages, to my own ipserver/client object. i.e. MyURemote receives a message “TV, ID=6262, Power, On” and knows to: (1) change the Power Icon to green. (2) Enable other tv related buttons. Similarly, MyURemote would send (onButtonClick) “TV, ID=6262, Power, “Off” and my server would process the command, send it to the TV and when the TV Responded, send the new status to MyURemote. I presume this is easily doable with your system? Sorry for the huge email! currently it is possible to use macro’s (sequence of commands), but you can only activate the macro with an on_click event. MyURemote relies on web pages, but the web pages are cached. This means that you have to load your web page once. Next time, when the web page would not be available (e.g. you’re connected to the internal network, but not to the external network), the web page is loaded from the cache. If you would clear the cache, you will of course loose the cached web page as well. I cant make myuremote send ir commands to de receiver (rx-a800 yamaha). I set it as the receiver for a room, it sends comands to directv or de tv, but not to de the receiver. I am using a Samsung Galaxy S6, the buitin ir blaster. Hi Julio, there must be something wrong with configuration. Please mail your MyURemote account settings to danny@myuremote.com so I can check. Comments: How do I create a custom screen with large buttons for my Father, who has vision problems? To enlarge your interface goto settings – My Profile – Edit Profile – choose “Use smartphone Lay Out on all devices“. Will this work with the Bose V10? Yes. 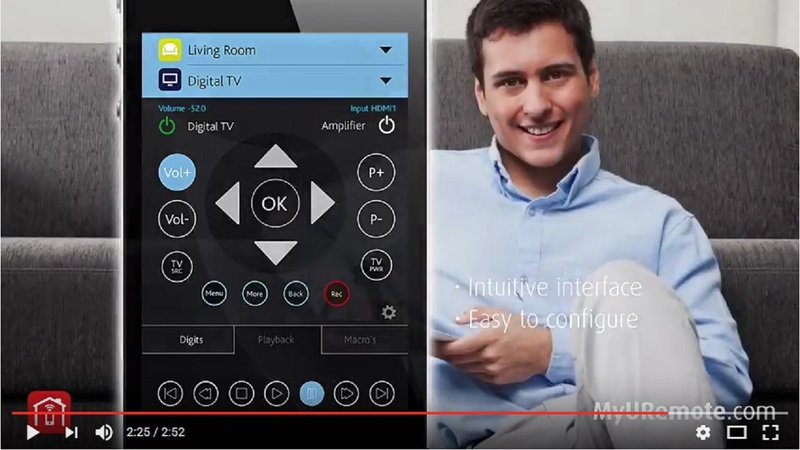 MyURemote supports also Bose lifestyle V10.